In this progress update we tell you a sample of what we have been up to since the last Alpha release. 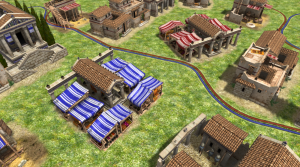 We have added new Seleucid buildings, more work has been done on animations for the new unit models and last but not least we’d like to tell you what Omri Lahav, our composer has been up to. 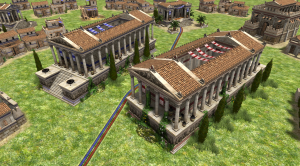 LordGood has been creating several new buildings for the Seleucids, meaning we should be able to officially release them in the next Alpha. We have a new team member: Niek, known as niektb. He is new to the team, but not new to the project as he has been part of the community for several years. During that time he has gotten to know the project and has contributed both art, some code and maps, and most importantly he is an important part of the modding community. And that will hopefully continue, which means he can be a useful link between the main game development and the mod development. We hope that his journey will serve as inspiration for others, being a part of a modding team is a great learning experience. 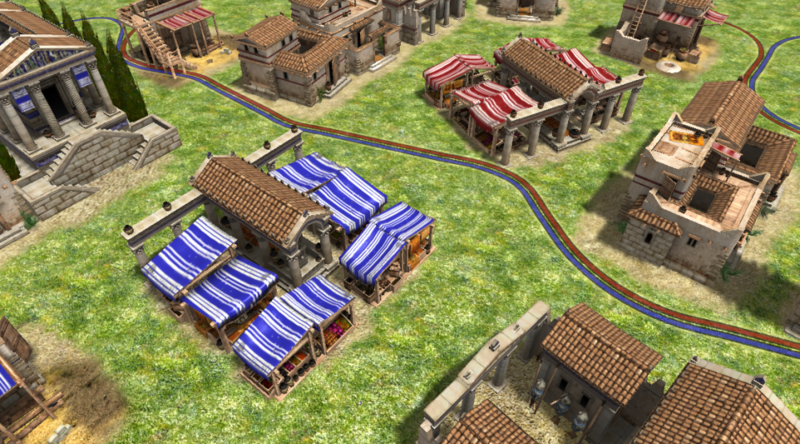 Several buildings which have previously just been available in the editor are now possible to use in normal gameplay. They range from the Briton’s Crannog which is both a Civic Center and a dock, to the Persian Ishtar Gate, which increase the resistance to being captured for nearby buildings. Citizen Soldiers now gain experience (XP) per every hit they do rather than just when they kill another unit. This means that experience is more evenly distributed between the units. Previously one soldier might have dealt almost all the damage but another could still have gotten the XP just because it was the last soldier to hit the enemy before it died. There are still a lot of animations to create, so it is not likely that we will start to use the new models for a while yet. Every new animation created brings that day closer though, so it’s certainly encouraging to have more of them done. Sander (sanderd17) and Lancelot (wraitii) have changed the game engine so the simulation can set actor variants. This should allow things like showing damage on units and buildings, or defining winter maps that load actors with snowy textures as opposed to normal snow-free textures. The engine part is more or less done, but it will take a lot of work by artists before it will be visible in the game. New balancing of champions and siege changes the gameplay to make siege engines more important, as buildings can’t be destroyed effectively by champions any more. The timeout for the wonder victory can be set arbitrarily, previously it was set to 10 minutes, but now you can set it to anything from 1 minute to 120 minutes. Apart from that there has been work done on technologies and civilization bonuses, the in-game menus and more. For an in-depth list see the Alpha 21 highlights page on our wiki which is updated regularly as new features are added to the development version. We highly recommend you check it out. He has also just moved to the U.S. so he will most likely not have time to create music for 0 A.D. for a little while yet. He has mentioned that he’s starting to get inspired though, so hopefully it will not take too long. As a final note: We have disabled the contact form on the Contact us page as we haven’t received any emails from it for a while and have been unable to find the cause. You can of course still contact us in all the other ways: via the forums, IRC, and the email address listed on the Contact page. If you have sent a message to us via the contact form and not received a reply, please contact us in another way as we have most likely not seen it.